10.5"x 8". Ceramic compost keeper. Store peelings, egg shells, coffee grounds and vegetable scraps before transferring food to an outside compost bin or pile. 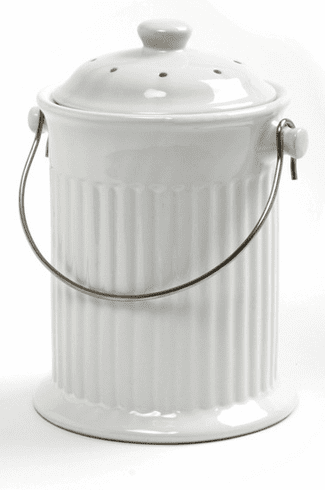 Tight fitting lid holds charcoal filter to hold in odor for up to 6 months, 1 gallon capacity.